Sometimes it's very nice to let someone else take the hard work out of sightseeing and paying for an organised guided tour with an expert who can make sightseeing so much more enjoyable and rewarding. There is just so much history in Malta that you would have to read assimilate several history books and research for days - your tour guide will have the essential information at their fingertips. 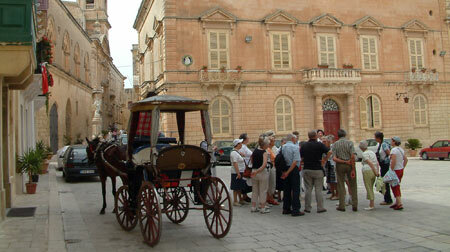 Malta Sightseeing Tour Hop on and off an open-top bus for a tour of the island. Multi-language commentary.